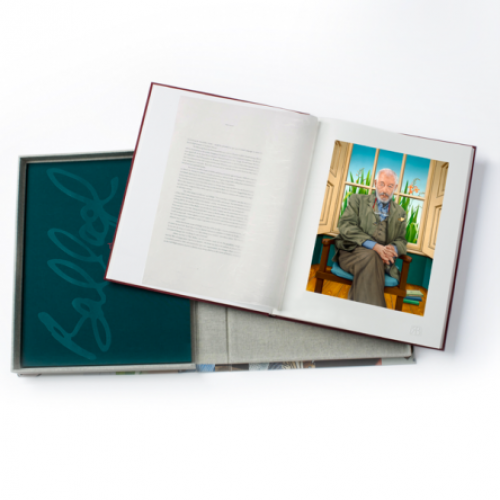 This exclusive monograph which chronicles the life and work of the Irish artist Robert Ballagh is published in two volumes and presented in a specially designed, hand made solander case. 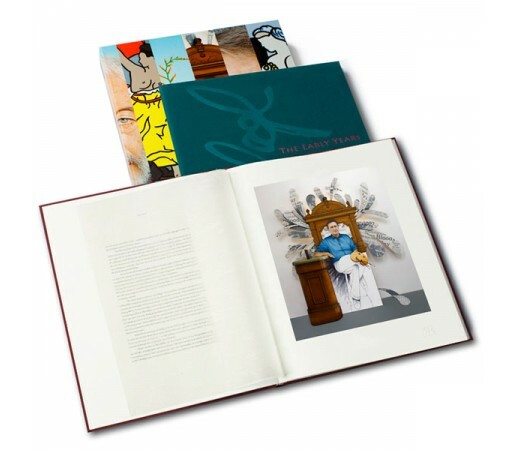 It is strictly limited to an edition of 350 with each copy signed, numbered and dated by the artist. Each individual copy is protected in a custom made canvas slip which is embroidered with the artists monogram. 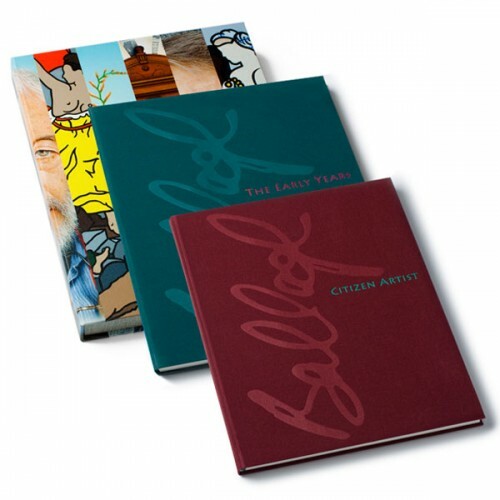 The accompanying text in two separate volumes, titled The Early Years and Citizen Artist, has been written by Ciaran Carty. The design and production of the monograph has been directed by Paul Rattigan. 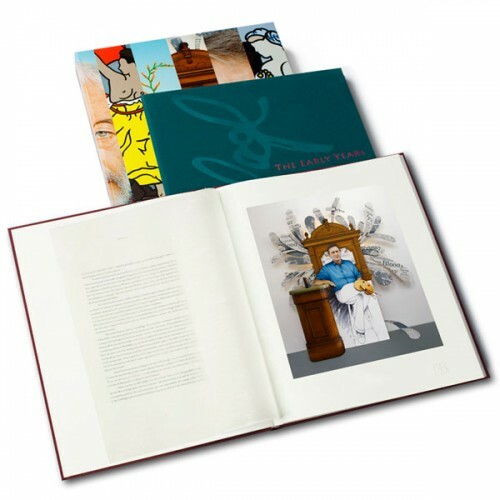 Each copy of the edition contains 24 original gycleé prints which have been hand produced by Bernard Ruijgrok at Piezografie Studio in Amsterdam, using archival inks on acid free museum quality paper with each print individually embossed with the artist’s own monogram. The volumes have been hand bound by Wim Kamsteeg of Boekbinderij De Distelkamp in Arnhem and the solander case hand made by Judith van Daal and Pau Groenendijk of Mooie Boeken, Amsterdam. This remarkable artwork represents a unique investment opportunity for the future. Dimensions 16 x 13 x 2.5 inches (401 x 330 x 55mm). Zeus Medea Publishing.